We at Art Whore have loved the designer toys of American artist Gabriel Rivas aka ‘Nerviswrek’ for over half a decade now – and even had the pleasure of interviewing the man himself for an Art Talk back in 2014. Well, recently Gabriel revealed to the world a new Platform Toy he designed, the ‘Drone Blank’ figure. What’s a Platform Toy I hear you ask dear readers? Well simply put it’s an unpainted toy, with a basic design that is sold for the purpose of being customed by it’s new owner. Kind of like a blank canvas in toy form. 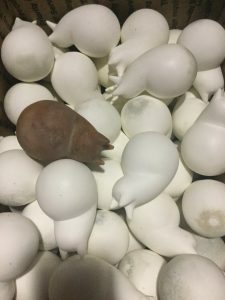 Classic examples are the Dunny and Munny figures from ‘Kid Robot’, the Qee from ‘Toy 2 R’ and now the Drone Blank from ‘Nerviswrek’ – which cost $US 25 shipped within America. “Just thought that this would be a different type of platform, one that doesn’t give you a limited platform. Most other platforms are kind of outlined for you, like coloring books. But this one I think leaves it open to a lot of different designs. 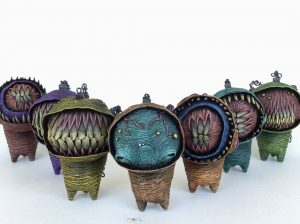 On top of the huge news of a new, made in America resin Platform Toy – and one that is being sold for a very reasonable US $25 – is the fact that Nerviswrek has also decided to play host and curator for an upcoming group show to be held at DesignerCon / Dcon in November this year! 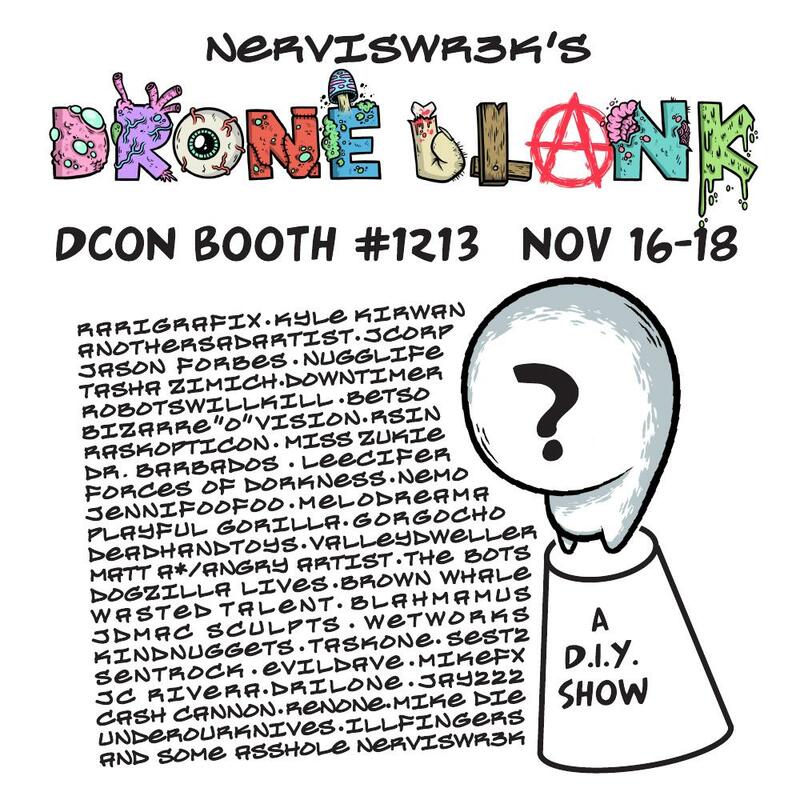 For the show, a slew of well known and highly respected artists will get the chance to publicly display their own customed Drone Blanks, which will also be for sale throughout the show – Exactly the kind of scene building event Nerviswrek is known for. (i) For those at home – please explain your decision to joining the platform-toy ranks with your ‘Drone Blank’ figure? Hello everyone and thank you for your time! As far as the why, not really much to tell. Just thought that this would be a different type of platform, one that doesn’t give you a limited platform. Most other platforms are kind of outlined for you, like coloring books. But this one I think leaves it open to a lot of different designs. Plus I’ve been using this base for a long time in a lot of my original work, like over 5 years. (ii) What to you, makes a good platform-toy for customising and why? Lots of smooth surfaces and somewhat stylized. 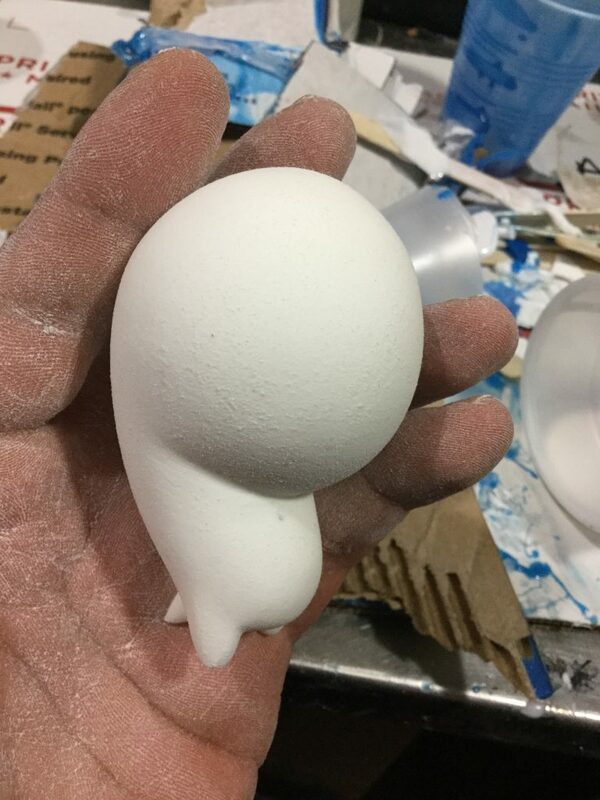 Smooth surface means more space, to sculpt or paint on. (iii) Were and how are your ‘Drone Blanks’ produced? The master copy was sculpted out of polymer clay and then casted out of resin. 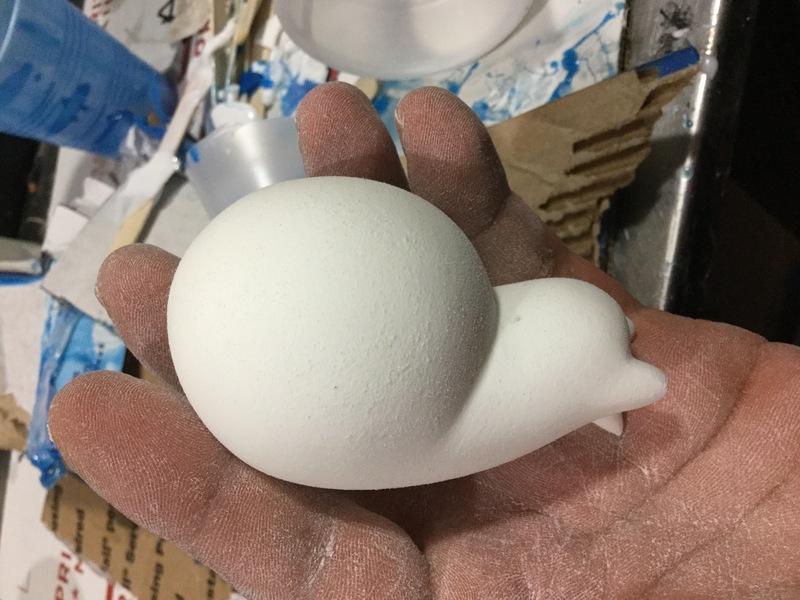 I had help from MikeFx making a couple molds. 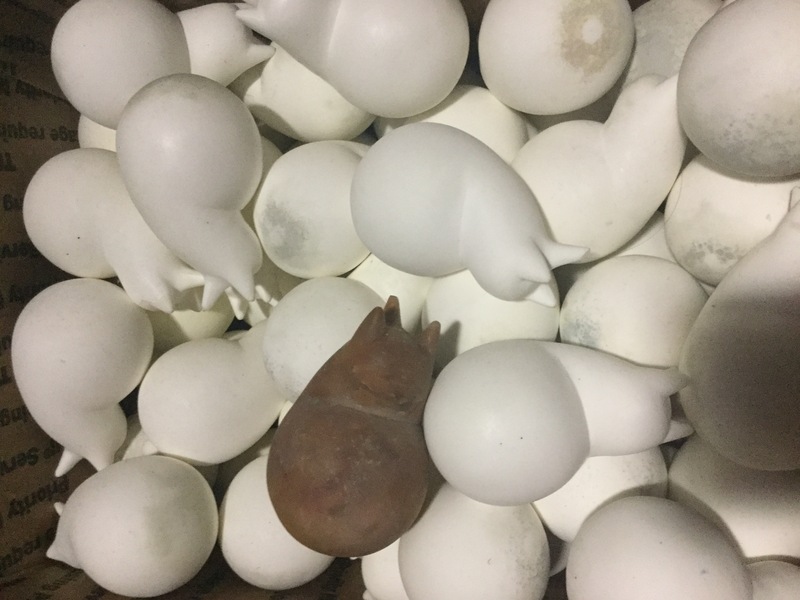 And then I used those molds to make over 50 resin drone blanks for the show. All made in my tiny room / workspace. (iv) You are debuting the ‘Drone Blank’ figure with a multi-artist custom show… For those reading at home – please explain the why, what and when of the show? 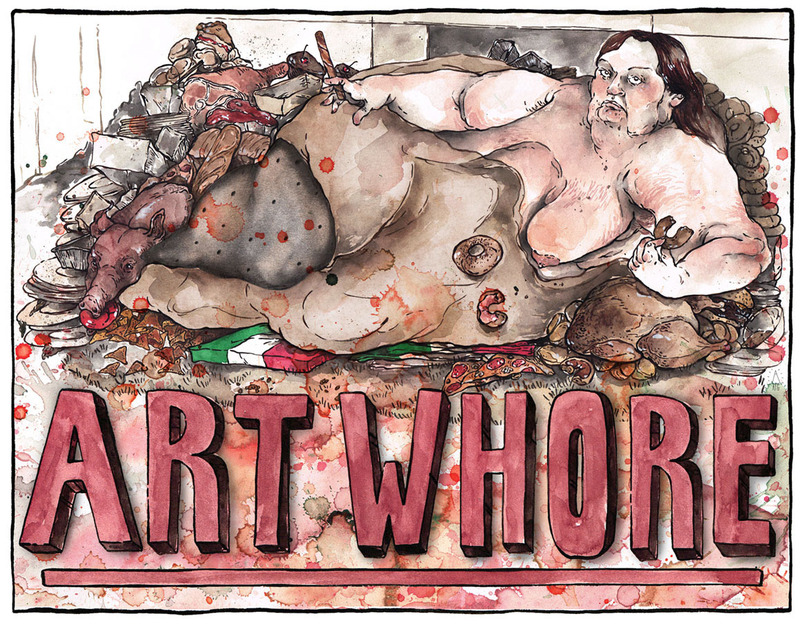 The what, a group show with 46 artists showcasing their skills on top of the Drone Blank Diy platform. Artists that are currently active in the scene. The when, it will take place at this years Designercon which is Nov 16-18 at the “We Are Not Toys” booth #1213. And the why, because why not haha. (v) Is there a narrative back-tale to the ‘Drone Blanks’ – or are they just soulless hulks waiting to be imbued with meaning through customising? They are drone probes in larvae stage, and ready to take shape once they infiltrate your genetic code. That’s when they manifest. (vi) Any plans for a second ‘Drone Blank’ custom show, or further plans for the figure? Really focusing on this dcon show at the moment and getting ready for dcon. I would love to do another show with more amazing artists. As far as further plans, I am trying to get this design made in vinyl at one point. (vii) If someone wanted to get their hands on a ‘Drone Blank’ right now – how could they go about it? If anyone is interested in a drone blank, I am currently taking preorders for this figure. They will ship out after designercon. They are $25 US shipped within America. (viii) What do you think is the current status and role of the platform-toy in the overall designer toy scene man? I think it’s like the dj in hip hop, it has become forgotten. When once the munny and dunny reigned supreme, they have dipped in popularity I think. The diy platform is important because it is what opens up that itch to create.